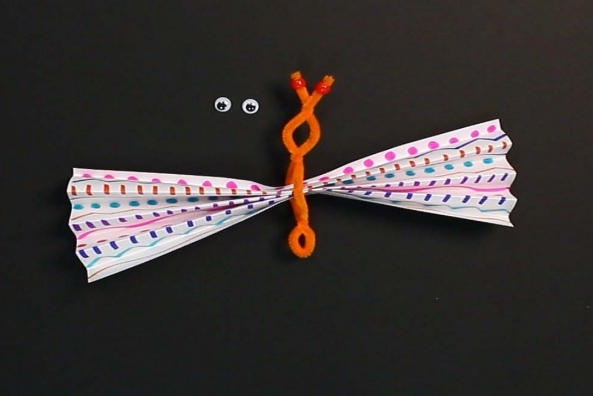 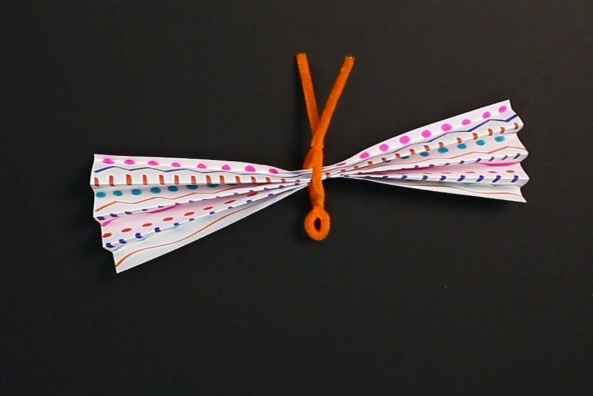 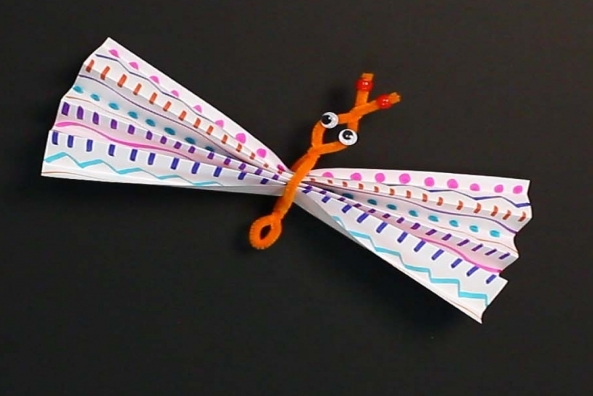 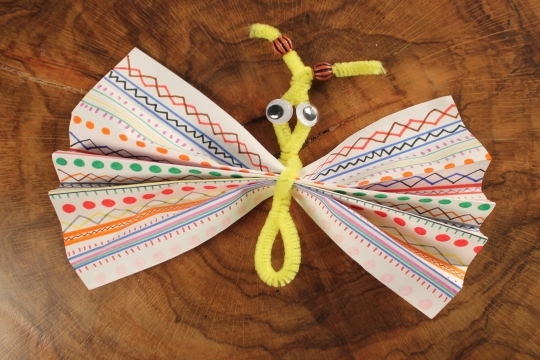 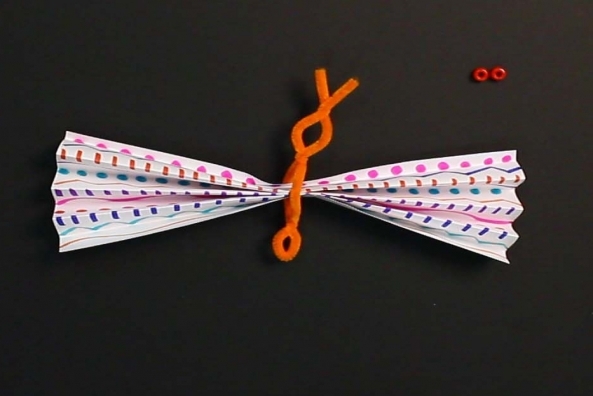 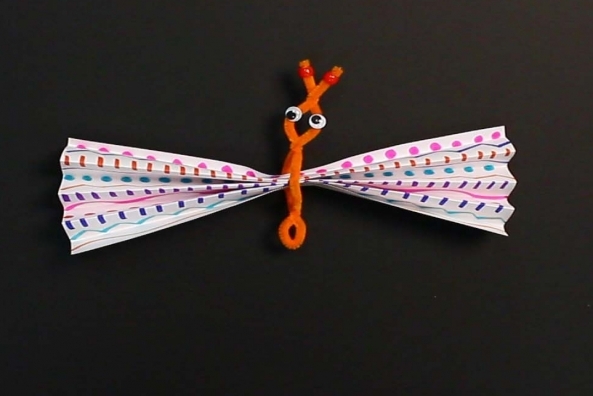 With just a plain piece of paper you can create a beautiful 3-D butterfly that will look great in the window, hanging from the ceiling or stuck to the fridge. 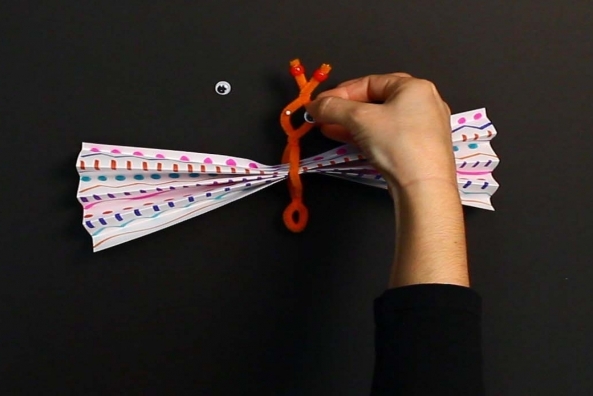 Everyone changes as they grow. 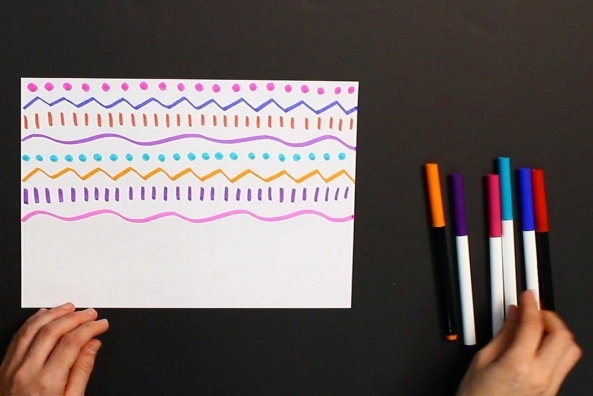 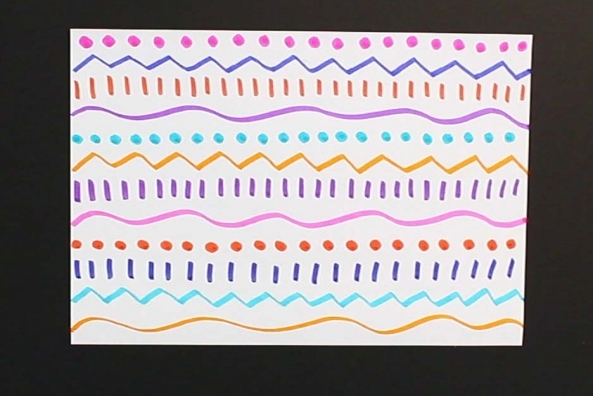 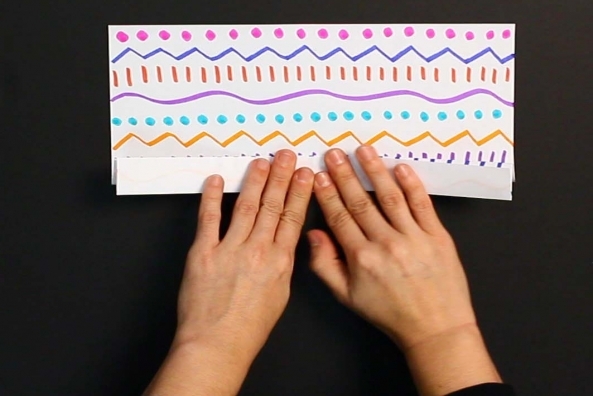 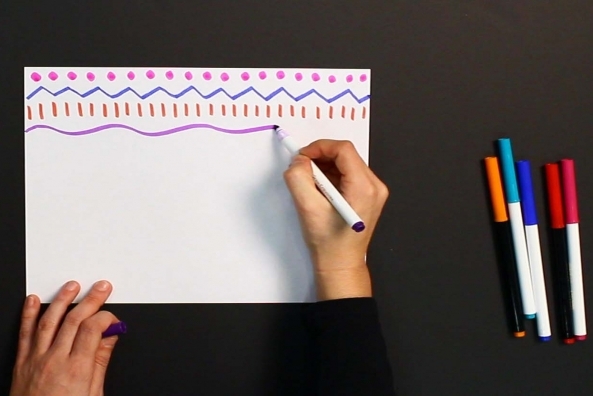 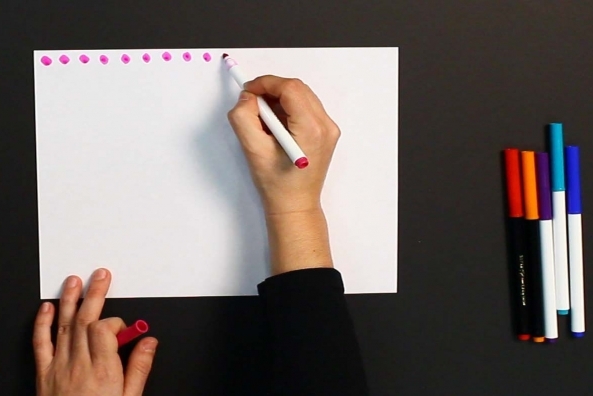 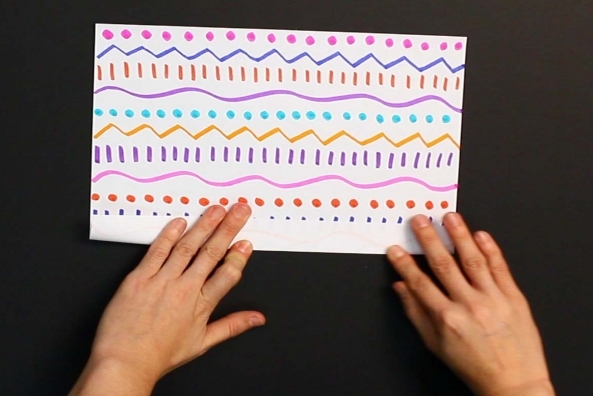 Color your piece of paper any way you’d like using your markers. 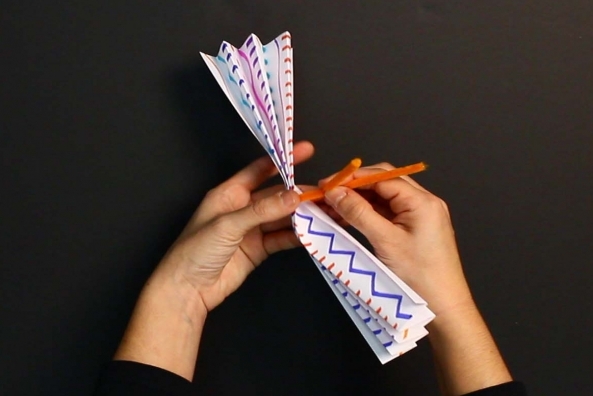 Fold the paper back and forth to make an accordion, or fan. 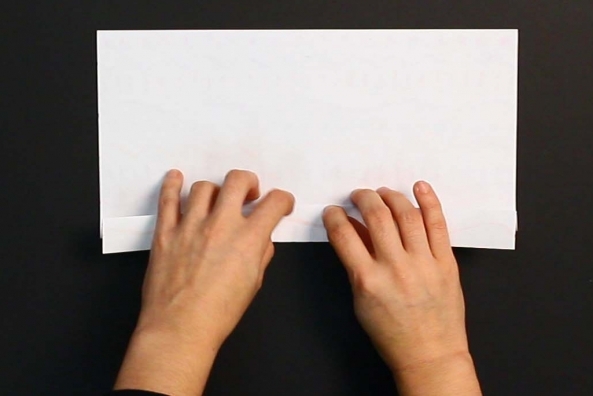 Put aside. 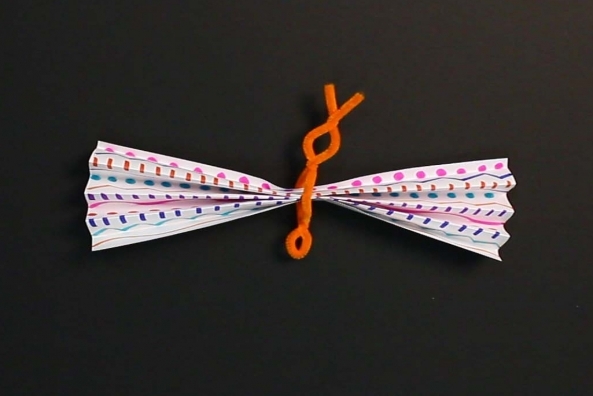 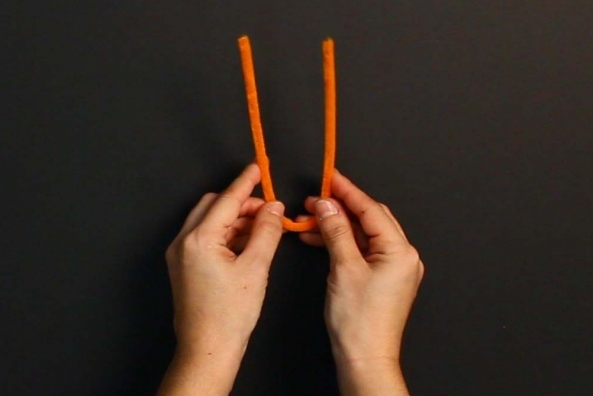 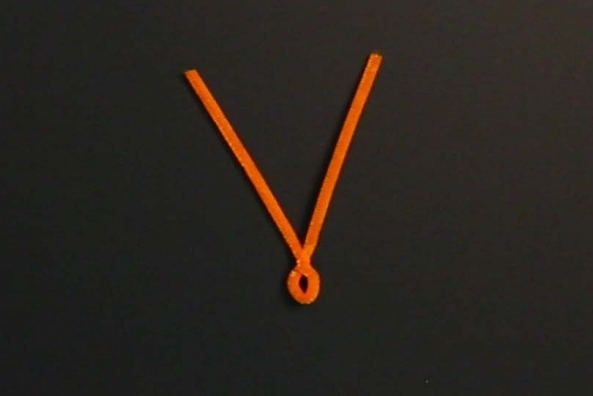 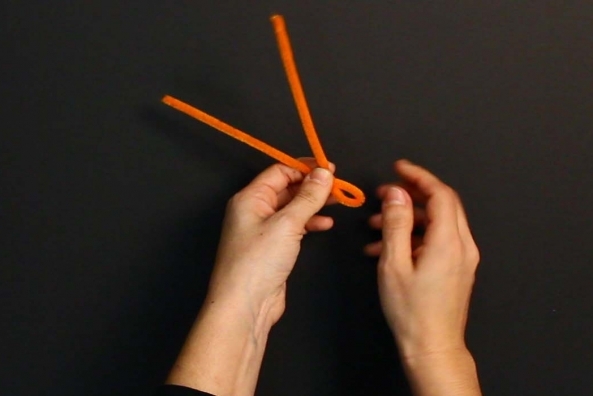 Fold your pipe cleaner in half and twist a loop large enough to stick your finger through. 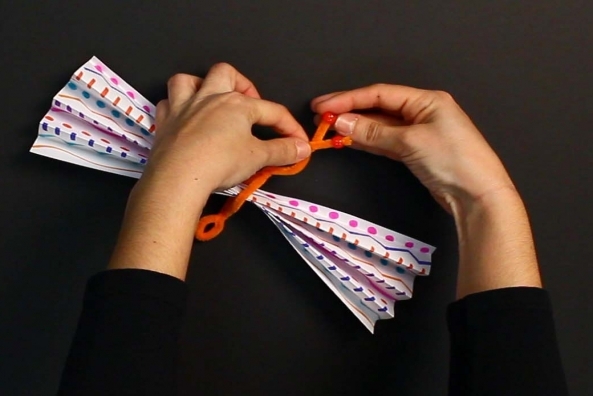 Attach paper to pipe cleaner. 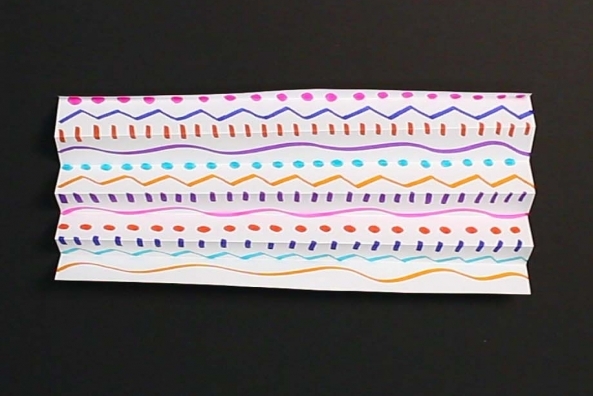 Attach your paper by placing the center of your folded paper in between the two ends of your pipe clean and twist a loop around it. 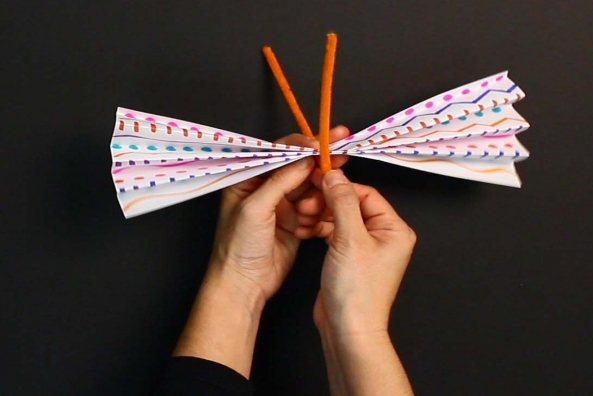 Make one more loop and leave the rest of the pipe clean straight for the antennas of your butterfly. 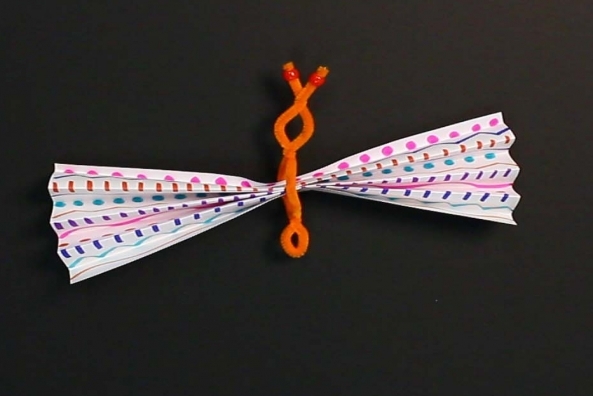 Place one bead at the end of each antenna. 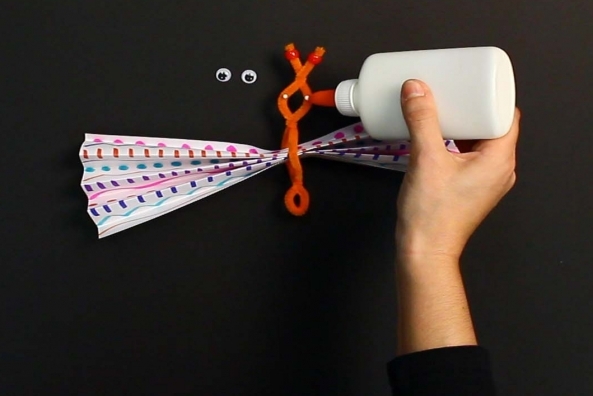 Glue two wiggly eyes onto the pipe cleaner. 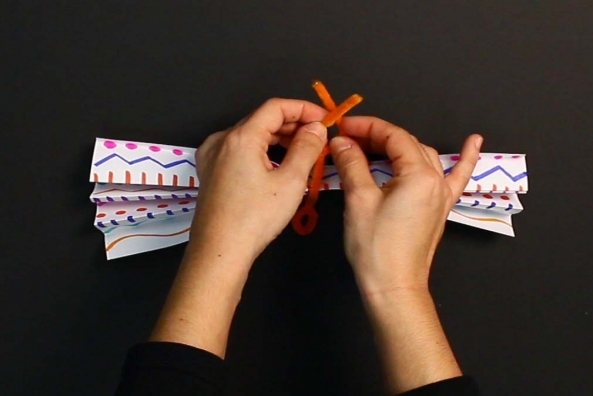 Carefully open the wings of your butterfly. 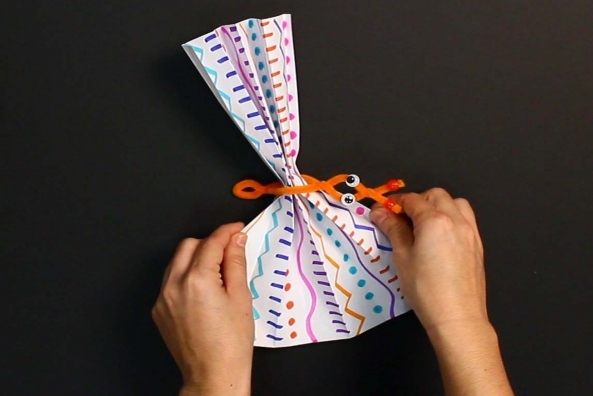 Hang from the ceiling, in a window and leave on a table-top to enjoy!